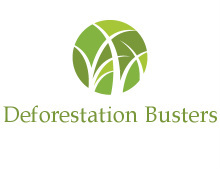 Deforestation Busters building a better tomorrow. Many regions are facing the problems of deforestation and it is our duty to look after and preserve the beatiful nature of mother earth. We are an organisation that are passionate to save the trees and we want you to join us in this journey to eradicate deforestation all over the world. The reason why we believe deforestation is an important issue that if nothing is done about it, consequently trees would eventually become extinct and our whole world would never be the same. Trees are vital for humans aswell as animals as they provide timber and wood for building resources, tools, paper, and many more products that need materials from trees. Trees are the lungs of the earth as they take in carbon dioxide and provide us new, fresh oxygen for us to breathe. Not only Trees provide homes for us, but they also are used as homes for animals, Trees give us many fruits and nuts such as apples, oranges, lemons, almonds, walnuts, and many more. Without trees, the beauty of nature would be ruined and it would be all because of us careless humans that take trees for granted and don't care for their future, so please help us preserve the trees by planting 3 saplings each year on the 3rd of January to show that you care about the future and well being of trees, this way, it would be very effective to help preserve trees, and if you participate in this event yearly who knows? you could be saving the future for all of life.